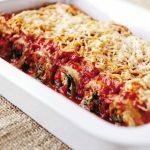 This Eggplant Cannelloni is vegan and a delicious main or side dish for any holiday or dinner. You’ve probably heard by now, but Dr. Fuhrman released a cookbook in early October featuring 200 of his high-nutrient, plant-based recipes. I was lucky enough to receive a copy from the publisher and I’m happy to report that it’s fantastic! I have been wanting to do this review for several months now, but wanted to make sure I had time to do it justice. Thanksgiving was finally the excuse I needed to actually prepare a real recipe as opposed to my normal haphazard method of throwing whatever is in the fridge and calling it something fancy. <—–Oops, I just gave away the secret to my food blogging, ha ha. There are so many wonderful recipes in this book to choose from and that was the hardest part in putting together this review. I ultimately chose a dish that I’ve had several times at Dr. Fuhrman events and is always one of the most popular (I know this because it always runs out and so you have to be fast to get some). 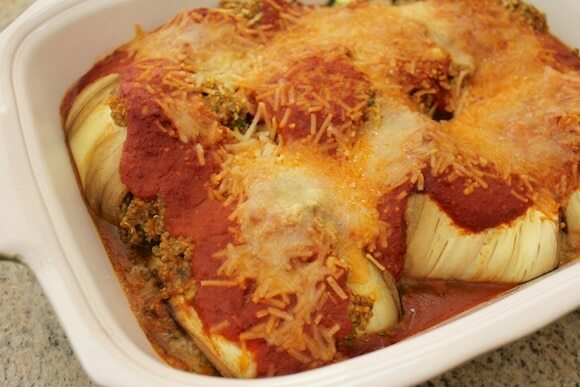 Undoubtedly, part of the appeal of this dish is that it uses vegan cheese, but I also love it because of the texture of the eggplant and the flavor of the tomato sauce. I wanted to make this dish at home because I have never really cooked with eggplant before. Consider me converted, it came out so yummy and I’m already thinking of other ways to incorporate this vegetable into my recipes. 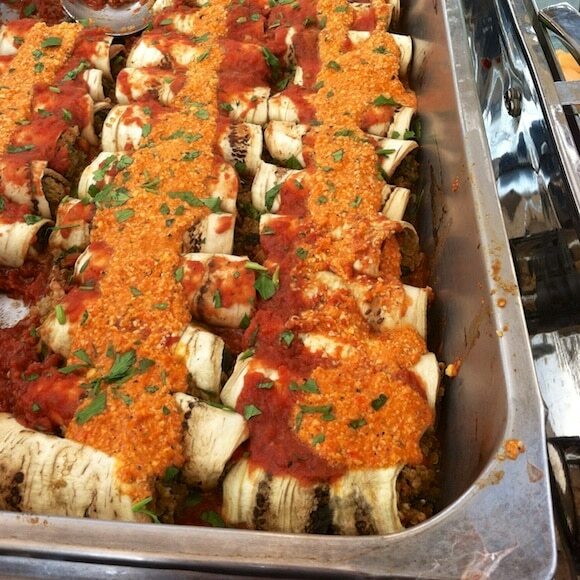 A vegan eggplant cannelloni that is a truly special dish. Preheat the oven to 350°F. Lightly oil a nonstick baking pan. 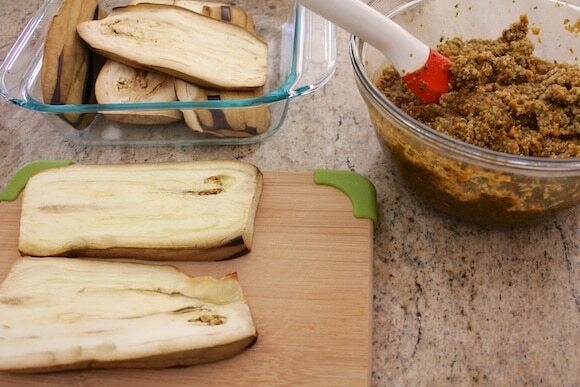 Arrange eggplant in a single layer in the pan. 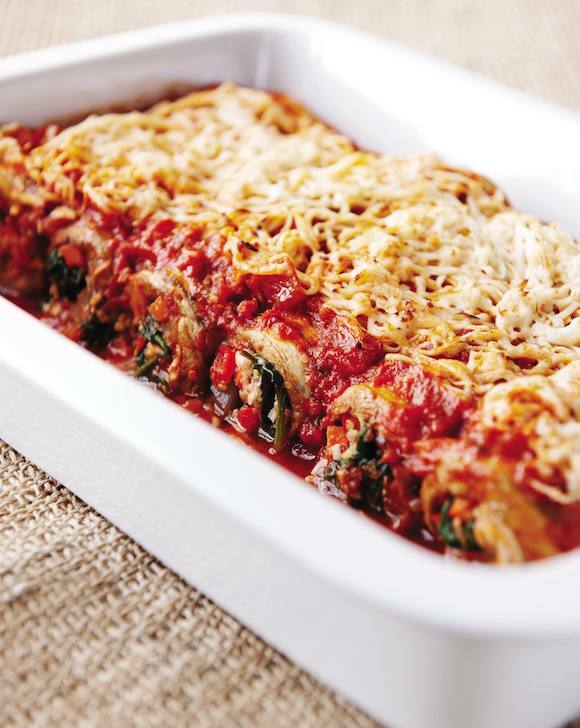 Bake about 20 minutes or until eggplant is flexible enough to roll up easily. Set aside. Heat 2 tablespoons water in a large pan, add the bell pepper, onion, carrots, celery, and garlic and sauté until just tender, adding more water if needed. Add the spinach and VegiZest or other no-salt seasoning blend, and cook until spinach is wilted. Add the cooked quinoa. Transfer to a mixing bowl. 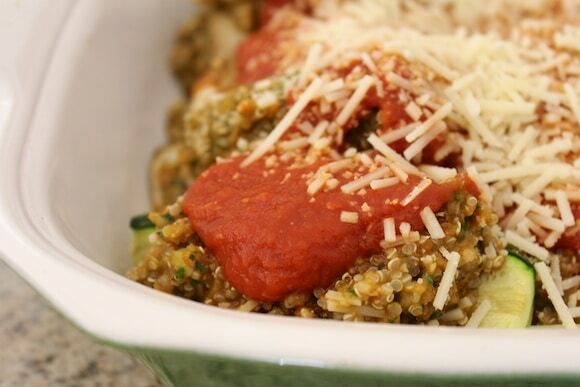 Mix in 2–3 tablespoons of the pasta sauce and all of the shredded cheese. Spread about 1/4 cup of the pasta sauce in a baking pan. Put some of the vegetable mixture on each eggplant slice, roll up, and place in the pan. Pour remaining sauce over the eggplant rolls. Bake for 20 minutes, until heated through. To make romesco sauce, sauté the onions, garlic, and tomatoes in a little water or white wine until the onions are translucent, add chili powder, and sauté an extra minute. 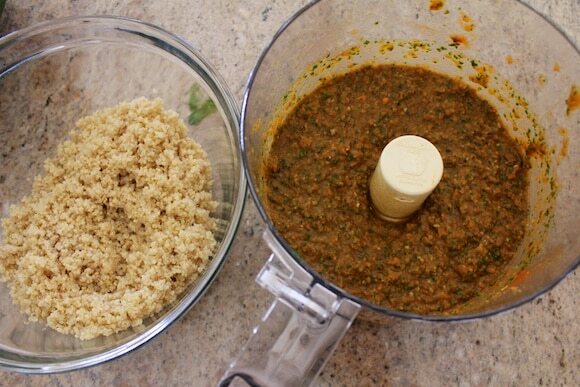 Put onion mixture in a high-powered blender with the remaining ingredients and puree until smooth. Serve eggplant with a drizzle of romesco sauce. I am working on losing weight and being healthier. I have cut meat out of my diet (mostly). I’ve made this recipe twice, without the vegan cheese, and it is really good. This is something you could serve to people who don’t believe healthy eating can taste good. This is also a great dish for homes, like mine, where your spouse wants meat. All you need to do is add a meat of your choice, so you have half meat and the other half meatless. Great suggestions, Barbara! I think tempeh might also be a good meat alternative for non-vegans since the texture is chewy. I really need to get back to working out regularly. I usually don’t let it slip like this but I was working out so hard before my wedding that I think I got burned out. And then had some minor medical issues which kept me away even longer. I need to get back to it but the cold weather isn’t helping! Wish I was in CA with you!!! I’ve been eating plant based, but would like it to be more whole food & less processed. A totally clean diet and find exercise I love. I would so love to win this! One health goal that I’ve achieved in 2013 is gaining weight healthfully. I have been severely underweight for a few years, and I finally decided that it needed to change. I tend to eat mostly raw fruits and veggies, so I needed to find more high(er) calorie foods to add to my diet that I liked. Nut butter did the trick! Oh so many changes but the main being I need to get healthier we lost a baby in August, since then it all sort of went out the window aka junkfood vegan but time to dust off and start again and hopefully try again later on. Thanks for the chance to win! I completely gave up soda this year, and my stomach has thanked me… far less bloating! I want to lose weight by eating healthfully and exercising regularly (and getting back into running!). Carrie – I’m trying to make macadamian nut milk and every time I try to open it in the app, the app crashes. Both on iPhone and iPad. Hi Andrea! There was a bug in a previous version that caused crashes. The fix it, delete the app and re-load from the App Store (you won’t be charged to do so). Apologies for the inconvenience! Thanks for sharing this recipe! 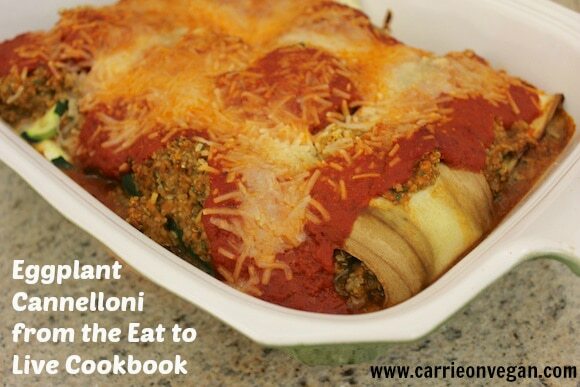 I’ve got the cookbook on my list, but this recipe in particular looks too good to wait for. 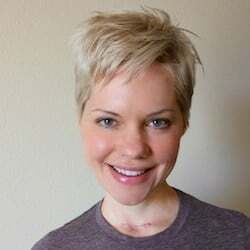 2013 wasn’t so great for my health, I had dyspepsia in February and had to go on a special diet to get that cleared up, and while that was good for my diet and weight overall it got me in the habit of being lazy and my exercise became inconsistent, which set me up for a struggle the rest of the year. Time now to get back on the exercise wagon and clean up my diet! My goal for 2014 is to phase out the Smart Balance vegan “butter” and bread. I want to be 100% whole, unprocessed, and healthy! I have reduced my body fat during 2013 and I would like to continue to do so in 2014. I want to continue to collect recipes to help sustain a healthy lifestyle. Thanks for the opportunity. The eggplant looks amazing! 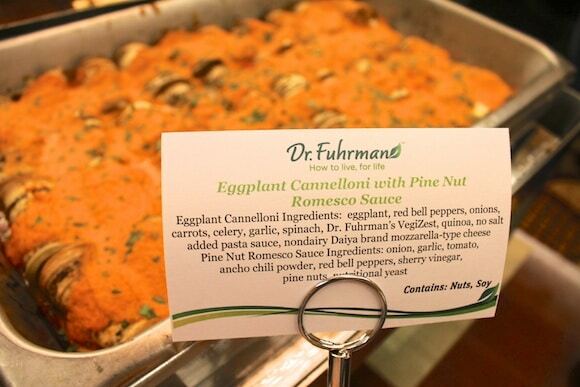 My main goal for 2014 is to take my vegan eating to a Dr. Fuhrman level of eating. More plant-based, less oil, salt and sugar. I also plan to give my personal health more effort. Oh, I need new recipe ideas!! My goal is to cut out sugar! 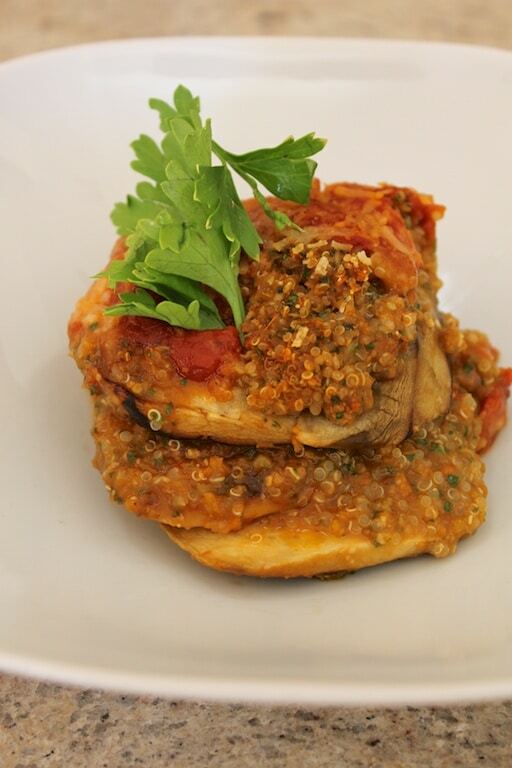 This is a gorgeous looking dish… eggplant? Not a fan at all, but it seems pretty delicous. I have to put on the effort. I want to win that Eat to Live Cookbook for 2014. Would love to win! As I have fallen off a bit in 2013 & would love to have a book to give me some structure in 2014! In one of your pics, it looked like you used zucchini. An eggplant will not be boring again because of this recipe.